Pieter van Baal is Associate Professor Health Economics at the institute of Health Policy and Management (iBMG) located at Erasmus University Rotterdam. His research focuses on the methodology of cost effectiveness analysis; cost effectiveness of public health interventions; chronic disease modelling; forecasting population health and health care expenditures; the relation between health care spending and population health. 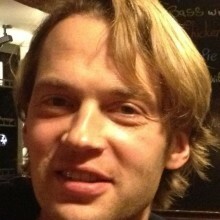 Pieter has extensive experience in economic evaluations of public health interventions, Markov modelling, statistical analyses and is the main developer of PAID (Practical Application to Include future Disease costs www.imta.nl/paid). Before working at iBMG he was employed by the National Institute for Public Health and the Environment (RIVM) where he was project leader of the RIVM Chronic Disease Model.